The purpose of the Northwest Florida Environmental Conservancy is to bring a greater public awareness of the remarkable natural history, biodiversity, enigmatic, endemic and rare and endangered species of the Florida Panhandle and the northern Gulf Coast region. Various local, regional and national conservation organizations have addressed the remarkable natural history of the northern Gulf Coast on a limited basis. However, there remains a void in which any organization has been fully dedicated to solely highlighting the incredible importance and significance of the biodiversity of the northern Gulf Coastal area. The lack of public knowledge and understanding of this incredible region has raised the awareness for the need for an organization that is solely dedicated to the conservation and environmental education of the Florida Panhandle and the adjacent Gulf Coastal areas. Public operations and efforts of NWFLEC began in early January, 2005. Karl R. Studenroth Jr. - Herpetologist/Field naturalist. NWFLEC Founder & Director. 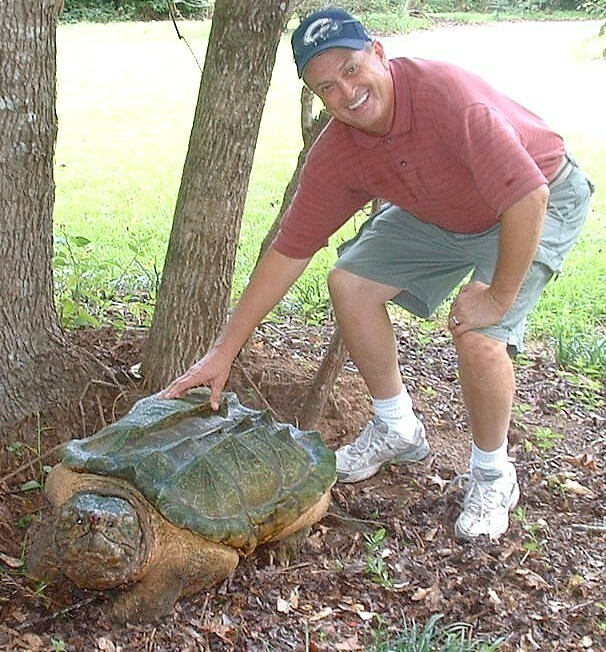 and Tommy the Alligator snapping turtle! Steve Carey - University of Mobile. Cyndi & George Marks - Florida Bat Center. 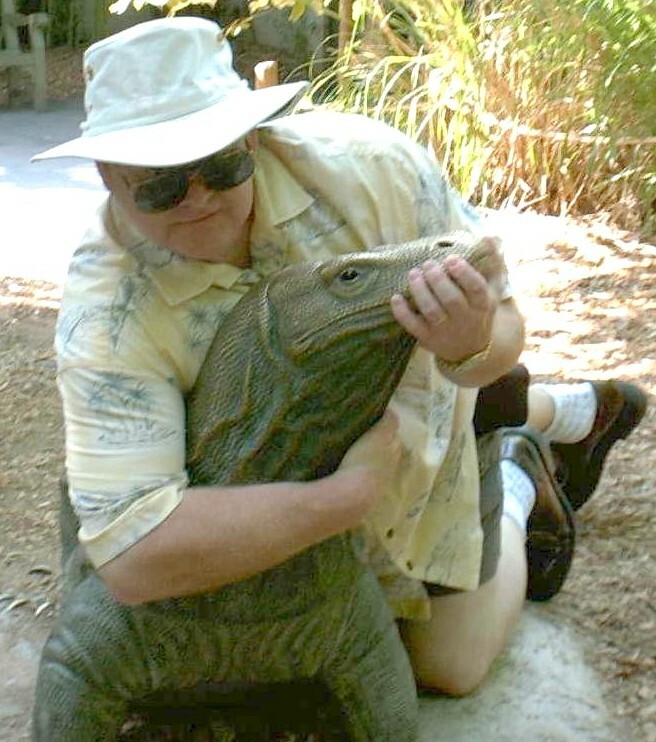 Steve Carey - "Professional lizard wrestler!" (Below) Cyndi Marks (NWFLEC Scientific Advisor) - FL Bat Center. 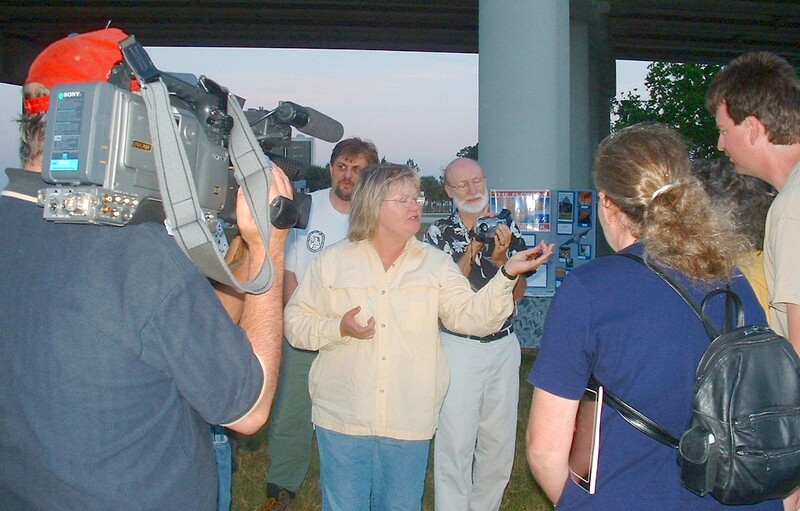 Speaking at a public bats in bridges event - Orlando, FL. May, 2004. A special thanks to advisors who served NWFLEC in the past! Royce Reagan - Chipola College, Director, TV & Video Production. Royce served as a business advisor for five years! Brian Bearwood - David Melvin Engineering, Inc. Brian served as a scientific advisor for three years! Art Kimbrough: Jackson County Chamber of Commerce - President & CEO. Art served as a founding Board member and business advisor for three years! Bob Pforte: Bob Pforte Dodge - Owner & CEO, Marianna, FL. Bob served as a founding Board member for three years! Pg. 6 Karl R. Studenroth Jr.